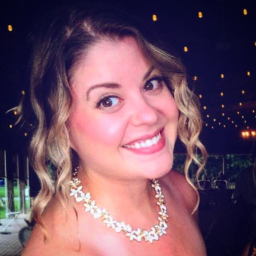 Amanda is a local to Virginia Beach, VA and has been working in her family's independent agency, Hackney Insurance Agency since it opened in 2009. She has been a licensed agent for the last three years, having worked as the receptionist and a CSR, mostly with commercial lines and most recently achieving her CBIA designation through Builders Mutual Insurance Company in 2017. Hackney Insurance Agency is entering their tenth year of business, and Amanda couldn't be happier to be a part of its growth! I began my career at HawkSoft after dipping my feet in the Insurance Agency industry for just a year and a half. The agency I worked at had used HawkSoft and it was the people I came in contact with from HawkSoft that drew me in. I was always treated with kindness when I called into Customer Service for help. As the Professional Services Manager, I oversee the Implementation and Accounting Consultants. The Professional Services Team is responsible for the on-boarding of new agencies, as well as, providing consultative services for agency. My team consists of veteran HawkSoft users and consultants, who are all very passionate about delivering a wonderful experience to our customers during the on-boarding process. My favorite part of being a part of HawkSoft is the relationships that are created. We value each and every person and what they bring to the HawkSoft Culture. We are like a great big family that loves what we do, and this reflects in providing our best to the customers. I have been a licensed agent for property and casualty insurance, and a user of HawkSoft CMS before joining HawkSoft. I joined HawkSoft in 2009 as a Customer Service Representative. Moved onto the Professional Services team where I was an Accounting Consultant, Team Lead and was recently promoted to Manager. I graduated from Clackamas Community College with an Associates in Accounting in 2008. Beth Zeigler is the co-owner of Zeigler Insurance & Financial Services. For the past 10 years Beth has had her insurance license and worked as an insurance broker/agent servicing California and Nevada. 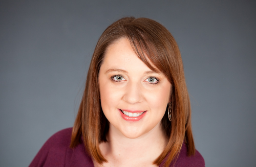 Beth primarily focuses on Personal Lines Insurance as well as social media for her agency. Zeigler Insurance over the years has been recognized as a top agency with the carriers they represent. Beth believes the key to a successful agency is a great customer experience and knowledge of the insurance products. 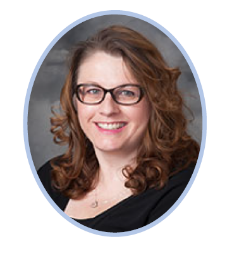 Beth has a bachelor’s degree in business administration concentrating in Marketing. Prior to obtaining her insurance license Beth worked in retail and then for IBM in San Jose, CA. In addition, she was a stay at home mom for a period time raising two daughters. During that time Beth volunteered at the schools and worked as a substitute teacher. Interface Optimization Director at IVANS Insurance Solutions, a division of Applied Systems, Inc.
How many people can say that they have worked for a carrier, broker, association and solution provider, and is married to a 4th generation independent agency principal? Cal Durland, CPCU is the real deal! She has dedicated her career to the insurance industry, specifically to the independent agents. She is the Interface Optimization Director at IVANS. 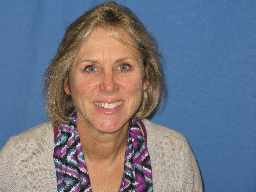 The Director of AUGIE, the Association and Users Group Information Exchange. She is an advocate for agency workflow efficiency and ease of doing business. 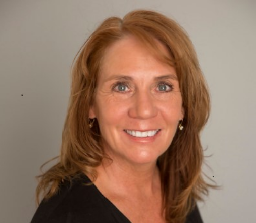 Through her management of the IVANS Connections team she has expanded her outreach to 30,000+ agents who utilize agency management systems that connect to their carriers through IVANS. 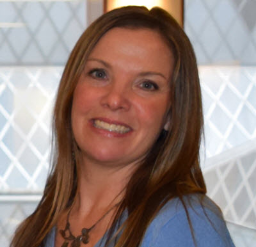 She is an Industry Advocate, the Past Chair of the CPCU Society Agent & Broker Interest group, Past President of CPCU Society Westchester Fairfield and Hudson Chapter, and current Membership Chair of the Warwick Valley Country Club. Caleb Stanton is a P&C marketing leader who serves as the Regional Vice President for reputation management authority, SocialSurvey. Caleb is an inspiring public speaker who gives practical insight to the issues that matter most to independent agencies. Caleb resides in Orange, CA with his awesome wife, 3-year-old son and 1-year-old daughter. 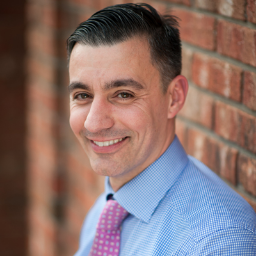 Chris Paradiso is one of the most passionate and dynamic agency owners in the insurance industry today. His passion for digital marketing, a strong drive to improve efficiency, and his unwavering dedication to exemplary customer service has led Christopher to build and grow his own agency. His clear vision has helped direct other insurance agencies to push the envelope and find their own success as well. In 2011 Chris was excited to introduce “Paradiso Presents” a social media marketing program aimed at teaching other agencies how to survive and thrive in today’s complex online marketing world. His innovative marketing solutions have been recognized and implemented into agencies nationwide. Christopher became a licensed agent in 1986 and founded CTIA two years later. Since then, he’s been dedicated to providing unsurpassed service, expertise and guidance and earning one valued client at a time. 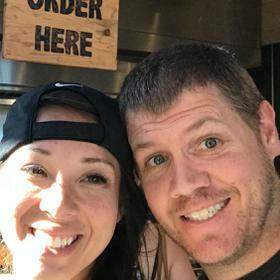 When not in the office, Christopher relishes weekly date nights with his lovely wife, Sarah; enjoys teaching indoor cycling classes at his gym and taking his swings on the golf course and softball diamond. A big Seattle sports fan, Christopher attends many Mariners games and is a proud member of the 12th Man and a season ticket holder for both teams. Hockey is next! I came to HawkSoft after working for a very small software company for seven years. I was drawn to the opportunity of advancement and growth within the company, something that wasn't readily available in a company of 15 people. I discovered that HawkSoft core values align with my values and I enjoy working for a company that values me and my thoughts. As a Senior Implementation Consultant, it is my privilege to work along side agencies as they begin their HawkSoft journey. There are many moving components to a successful implementation and it is my job to coordinate and manage the project with the agency from start to finish. Christy joined HawkSoft in the middle of 2013 and brings over 15 years of customer service and training experience to HawkSoft. She has a passion for knowledge and is willing to take time to sharpen her skills. Cindy is an agency owner along with her husband Brad and has been a HawkSoft User since April of 2015. With the addition of her daughter Leslie to the staff, this has now become a third-generation agency. Both HawkSoft and PL Rater are utilized in her agency. Mayville Insurance has two locations, a total of seven employees and a fairly even split between personal and commercial lines. She has served in leadership roles with the FSC Management System. Cindy is a past Board of Director and Past President of PIA of Wisconsin. She is also the Past President of the President’s Advisory Board of PIA National. Cindy currently serves as the President of the HUG Board of Directors. Manager, HawkSoft Managed Accounting Services at HawkSoft, Inc. 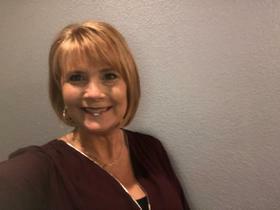 Crystal has been working in the insurance industry--specifically accounting and agency management--for over 10 years. During that time, she has served on various industry committees such as the IIANC's Agency Management & Technology committee. While on that committee, she served multiple years as either the Chairman or Vice Chairman. 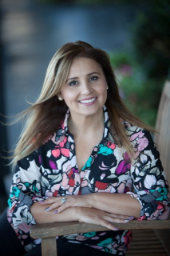 She has experience using several different management systems and leverages that knowledge to assist agencies with the back office work in their agency...primarily their accounting. Crystal is the former owner of C. M. Temple & Associates, a bookkeeping firm focused on providing outsourced accounting services to independent insurance agents across the country. As of December 1, 2018, C. M. Temple & Associates began operating as HawkSoft Managed Services, LLC, a wholly-owned subsidiary of HawkSoft. 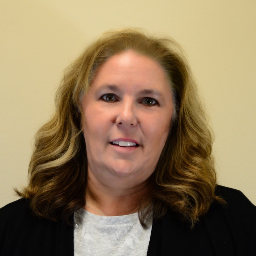 Crystal has a degree in both accounting and business management, is a Certified QuickBooks Online ProAdvisor, a CompTia Project+ certified project manager, and was one of the first insurance agents in North Carolina to obtain the CISR Elite designation. I lead a top team of marketing experts who help Safeco Insurance and Liberty Mutual Business Insurance agencies improve their marketing to attract and retain more business. Our well-known Bricks & Clicks and Customers for Life teams work together to deliver industry-leading independent insurance agency relationship and digital marketing training, tools and services that help agencies successfully grow whatever they sell, wherever they sell it. When I'm not at work, I'm likely cycling to or from it to train for my next charity ride raising funds to fight cancer and multiple sclerosis. Or you’ll find me in the kitchen whipping up something tasty for family and friends. Agency owner for 19 years HawkSoft user for 10 years Husband for 21 years Proud father for 20 years Totally awesome fella for 46 years Master of Ceremonies for HUG National Conference for 2 years!!!! Looking forward to seeing old friends and meeting new ones and learning more about this awesome agency management system we call HawkSoft!!!! Daniel grew up around insurance, working in his father’s agency prior to and during high school. Back then he didn’t think he would ever end up choosing insurance as a career as licking new application envelopes and returning paper files to the cabinets wasn’t his idea of a great time. After getting married to his wife Brittney in 2005 he decided to move back to Las Vegas from Utah and help dad out in the agency. He quickly decided that this would be a career he could quickly get excited about. Being able to have a flexible work schedule and help families and businesses secure the right protection proved to be very fulfilling. Daniel has always sought any opportunities to increase his technical insurance knowledge. He obtained his CIC designation in 2009 and later his CRM designation in 2015. Teaching and training others in the agency is something he enjoys. 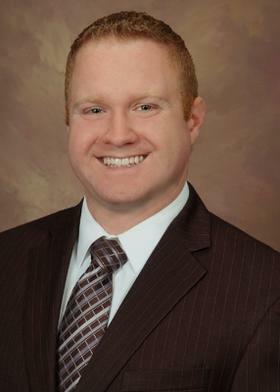 He strives to help agents develop their skills and find the same fulfillment in this career as he has. He and Brittney have 4 children, 2 girls and 2 boys, and spend as much of their free time with them as possible. They enjoy traveling to the beach, Disneyland, and visiting their grandparents and cousins in utah. Daniel is an active member of The Church of Jesus Christ of Latter-Day Saints and served a 2 year mission to Barcelona Spain from 2001-03. The Spanish language has continued to serve him even in insurance. He also coaches his son’s soccer team and volunteers most weeks and weekends as the Scoutmaster of a local Boy Scout troop. 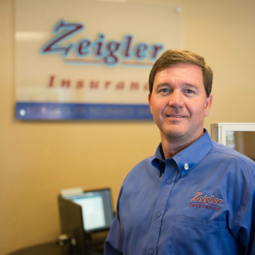 Dirk Zeigler is co-owner of Zeigler Insurance and Financial Services. 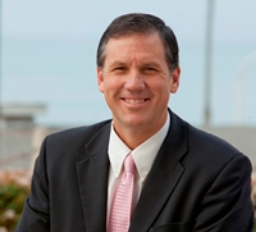 Dirk has been in the Insurance industry for the last fourteen years and serves both California and Nevada. Consistently Dirk and his team are recognized as top producers nationally with the carriers they represent. Prior to obtaining his insurance and securities licenses, Dirk was part of the U.S. Navy as an Electronic technician on nuclear submarines as well as a Navy diver. After 8 years in the Navy, Dirk then went to work in Silicon Valley as a Western Regional Manager for Multinational Accounts. Dirk’s leadership skills and vast sales knowledge have helped to make him a successful Insurance agent and business owner with a track record for success. Dirk is currently serving as the Chairman of the HUG National 2019 Planning Committee, for this conference. 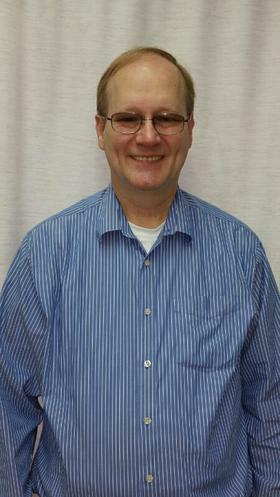 George began his career with Williamson Insurance in July of 1995. Since then, he has worked in several capacities including personal lines sales with his most recent role as that of Agency Development, Marketing Specialist and Systems Administrator. He attended Ohio University at the Zanesville campus and holds a Certified Professional Insurance Agent designation with the AIMS society. 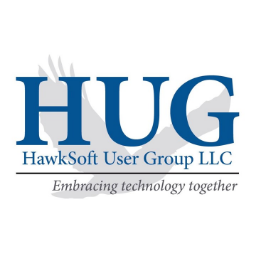 In September of 2015, George became a committee member for the HawkSoft User Group (HUG) where he serves to coordinate and present at regional and national meetings. Additionally, he participates in HawkSoft focus groups that provide input for future system features and functionality. 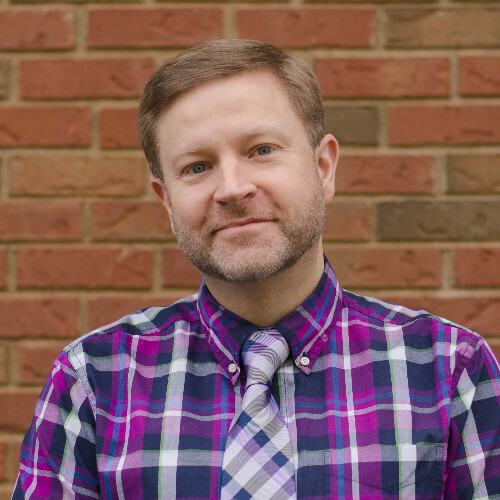 Along with his wife, Kelly, George is active in the performing arts scene in Zanesville as a performer and musician and has volunteered his time as a member of the Board of Directors with local theater groups. Sheldon is a certified ski instructor, white water river guide, a high school ultimate frisbee coach and an insurance agency specialist who believes that after love, sales makes the world go round. Upon completing his service as an Airborne trained Army officer in cold war Berlin, Sheldon cut his teeth as a commission-only sales representative where his success led to a promotion as Northeast sales trainer for the world’s third largest travel franchise company, Uniglobe Travel International. At the turn of the millennium, he launched SteadySales.com to help service people sell and since 2006 has focused exclusively on coaching the staff of insurance carriers and independent agencies across the United States. He’s coached hundreds of agencies and thousands of CSR’s in collaboration with dozens of national and regional carriers, state associations, and industry partners. Whether it’s high school athletes, terrified guests or experienced insurance pros, Sheldon’s energetic coaching flows from two guiding principles: meet people where they are and ignite their own desire to improve. 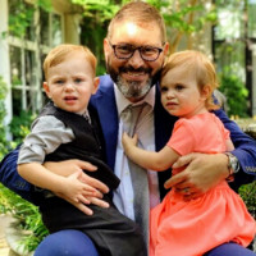 Director of Implementation at HawkSoft, Inc.
Jake Dunbar has experience as a leader in automation for two agencies, playing key roles at both in choosing and implementing a new management system. Not only did he play a key role in technology automation, but was also a licensed CSR and Agent in Property & Casualty and Life & Health for four years. He used the management systems every day, becoming familiar with every aspect from the front line to the back office. In joining HawkSoft, he had the privilege over the last ten years of helping agencies of all varieties. He’s been able to help agencies new to benefiting from a management system and agencies who were switching management systems. He has learned a lot about what is important to agencies and what it takes to effectively implement a management system. He is grateful for the opportunity to be part of a team dedicated to the insurance agency’s success, to share what he’s learned and to make a difference. His favorite thing about HawkSoft is the people. “Everybody there has a great passion for what we are trying to accomplish. We value relationships and what each person brings to the table. We really enjoy working with each other, and that ultimately benefits our clients.” Jake Dunbar has been a licensed insurance agent for both property & casualty and life & health. He has consumer experience with Applied TAM, Applied Vision, and with HawkSoft CMS. He joined HawkSoft in 2006 after working for 6 years in the insurance industry. Jake graduated from Utah State University with a Bachelor’s degree in Anthropology. He has 10 years of work experience in the IT industry where he worked as a computer tech, a network administrator, and an automation manager for insurance agencies. Jason Walker is focused on two goals: helping independent insurance agents realize growth using digital marketing technologies and enabling carriers to develop deeper partnerships and greater insights into the performance of their agent distribution channels. 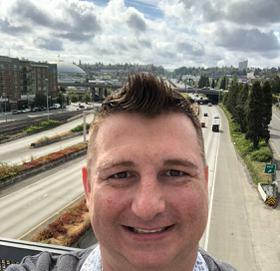 As founder of Smart Harbor, Jason helps insurance agents not only compete but win in the digital world, using the right combination of digital marketing technology and counsel. Smart Harbor serves more than 1,100 independent agencies that represent over 100 carriers. A recipient of the 2018 Smart 50 Award for Innovation, Impact and Sustainability, Jason oversees the strategy, development and delivery of the company’s digital marketing programs, technology solutions, and analytics platforms. He brings significant insurance and business-to-business technology marketing experience to his role. Jason is also an advisory council member for the Insurance Digital Revolution, an organization focused on advancing digital technology adoption among independent insurance agents. Jason has conducted speaking engagements and workshops for organizations like Nationwide, State Auto, Keystone, Pinnacol Assurance, BroadStreet Partners, Agency Nation, and state insurance associations. He is also published in Property Casualty 360, Insurance Journal, IA Magazine, Rough Notes, Insurance Thought Leadership, The Meeting Magazines, Carrier Management, and Insurance Business America and featured on the Agency Nation Radio podcast. 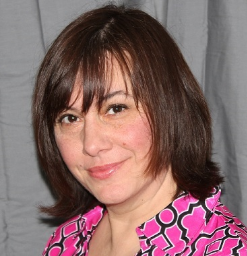 Jennifer has 19 years of experience working in the insurance software industry. She started with MI-Assistant Software as a tech support representative and eventually became the product manager of FSC Manager with FSC/Vertafore. 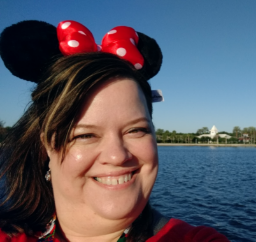 After leaving Vertafore, she hopped on board the HawkSoft User Group wagon and acted as the Executive Coordinator for just under two years. 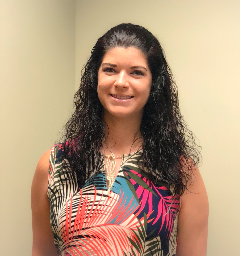 Jessica Klecz has worked in the insurance industry for eight years, beginning at a small independent agency handling everything from phones and office cleaning to personal and commercial lines! After six years, she began working for MSH Insurance as a commercial lines CSR. Jessica loves learning about agency automation and technology. At her agency, she is known as "The Hawk" and is the go to person for Hawksoft questions. 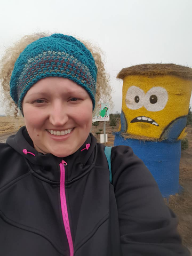 Outside of Insurance, Jessica loves cooking, travelling and riding horses! Helping People Help People - that’s John’s true passion. As a Claims Leader, he led award-winning teams of licensed insurance adjusters on the P&C side of the business. In addition, he has led cross-functional teams focusing on improving the Customer Experience. He is currently on a mission to help improve upon the relationships between Carriers, Agencies, and Clients so that the Customer wins. 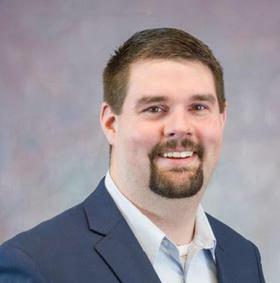 Just out of Graduate school, having completed an MBA, John Morton joined Metropolitan Life Insurance Company in a management development program. Their stated goal was to transition Metropolitan Life from a system leading back to its beginnings to a more modern company. John left the company as a manager after a few years because it was not changing fast enough. Two years later with a partner, he started a P & C agency. During part of this time, he served on the board of American Agents Alliance, a California association of independent insurance agents and brokers for 13 years where he was very active in pushing innovation. His business partner retired 11 years ago. John understands just how important the technology that HawkSoft’s CMS provides us all in not just surviving. He sees HawkSoft’s leadership and product potential as something that is truly an opportunity for great success. He also speaks Spanish as a second language. John currently serves as a member of the HUG Board of Directors. I have been in the industry and with John Dawson Associates since 1984. I am now a managing partner and have been with HawkSoft for the past 9 years. I love what I do and I love the technology that HawkSoft provides to help us do our jobs well. I am a member of the HawkSoft User Group regional committee and a the National Conference Planning Committee. These conferences and meetings are a huge part of the overall success we experience as users. Excited to share a session co-presenting with my fellow committee member and dear friend, George Patterson. Marketing Coordinator at HawkSoft, Inc.
Kenneth Hendricks is HawkSoft's Product Marketing Coordinator and assists Paul Hawkins with business development projects. Kenny started at HawkSoft in 2015 as a CSR, and moved to the Marketing department after 8 months. If you've read a product update email or been annoyed by a What's New pop-up window, it was probably written by Kenny. In addition to his roles in the Marketing department, Kenny serves as the liaison between HawkSoft and HUG. I became a 3rd Generation Agency Owner when I purchased my family's Personal Lines Insurance Agency in Feb 2012. Prior to that I worked in the restaurant industry for Fortune 500 companies in their Marketing, HR and Operations departments. I also was a teacher right out of college for a few years. All of this experience has helped me to build a strong team of caring individuals that truly want to serve our clients the best way they can. My role as a leader is to push each team member to be the best version of themselves and I want them to succeed far more than I could ever in their role. 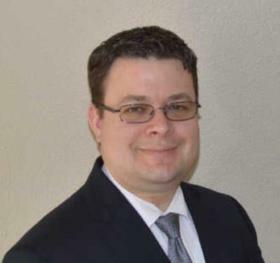 North Central Regional Sales Manager at HawkSoft, Inc.
During the 17 years I worked in an insurance agency, I learned the importance of having a strong team. Now, as a regional territory manager for HawkSoft, having a strong team is more crucial than ever. My office is 2400 miles away from the HawkSoft home office, yet I feel completely supported and involved. I am on the front line, serving as liaison between clients and HawkSoft. I see firsthand how clients use our software, what they like, and what they want improved. I nurture relationships and pass information along to the home office. I love reporting back to clients that their suggestions have been incorporated into the software and showing them the new features they dreamed up. It’s thrilling for them to know they are heard. My favorite thing about HawkSoft is the support my clients and I get in the field. The whole culture of HawkSoft is positive and encouraging. Clients love that HawkSoft inspires them to implement solutions that will help them be more efficient and successful in their businesses. I see this every time I perform a demo for a prospective client. I never tire of hearing, “You can really do that? That’s so quick and easy! That will really help our agency.” I value the relationships I have with HawkSoft clients and love attending user group meetings and visiting agents in their offices. 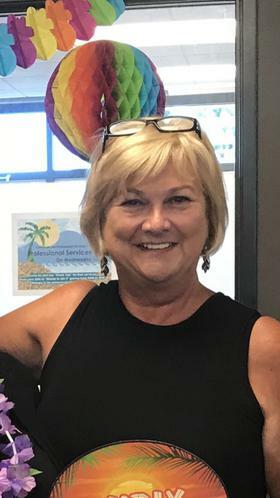 Linda Anderson joined the HawkSoft Sales Team in 2007 after working for 17 years in an insurance agency in Ohio that used HawkSoft’s Client Management System. She has worked as an insurance customer service rep, as a producer, and as an agency manager. 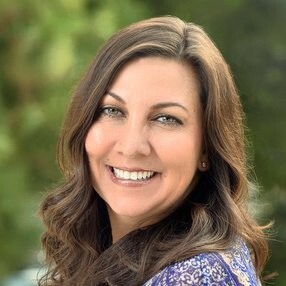 She also worked for 14 years as Vice President of Commercial Acquisitions and Leasing for Spector Development Corporation in Scottsdale, Arizona. She graduated from the American Institute of Business. Linda’s office is in Springfield, Ohio. Executive Producer at Beacon Insurance Services, Inc. Working in the agency as a teenager and through college, Michael left for what he thought would be "greener pastures". 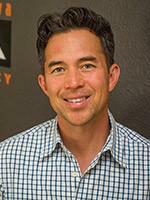 After a short stint in corporate America, Michael came back to the agency and has been there since 2004 full time. 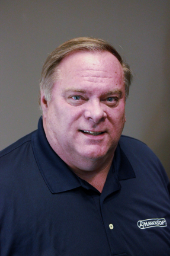 A second generation agency owner, he helped push aside the paper files and filing cabinets and was instrumental in bringing Hawksoft into the agency in 2012. He has since moved Hawksoft from being the glorified filing cabinet in the agency to utilizing just about every aspect Hawksoft has to offer. 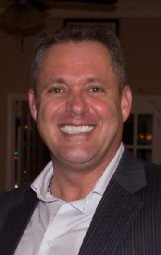 Mike is the founder and managing general agent for Coho Financial Group. Coho is a full service insurance and investment firm located in Anchorage Alaska. Before starting Coho, Mike started his insurance career as a scratch multi-line agent for Country Financial in Olympia Washington. He accepted the responsibility of managing the Central Washington area for Country taking a position as the Yakima Agency Manager. In 1999, Mike was sent to Alaska to develop the state for Country. During his time there Mike grew the agency to 40 million in premium, and 25 agents, with 10's of millions AUM. Alaska soon became one of the top producing markets in the nation for Country Financial, excelling in both production and profitability. Mike retired from Country January 31, 2017 and started Coho Financial Group. With an emphasis on growing people (employee's, clients and partners) Mike developed his concierge platform of doing business.. Mike is eager to share this thoughts on leading through change, agency planning and his unique business model. Mike has been in the agency since 1977 and is the third generation in a four-generation family agency in Central New York. The Skeele Agency has a 70% personal lines and 30% commercial lines split, with 13 employees over six locations. An active HawkSoft Online user and supporter, the Skeele Agency has been on HawkSoft since January 2015, having previously used FSC Manager and AFW Online prior to that. Mike currently serves on the HUG Board of Directors as Vice President. After working in the restaurant and produce businesses, Mike Stromsoe joined his father’s insurance agency in 1986. He then started his own successful agency which he and his wife still run today along with two additional businesses. Among many things, it is Mike’s core belief that one gets what they give in this world. His passion is impacting lives personally and professionally. Mike Stromsoe, “The Unstoppable Profit Producer”, continues to change the lives of entrepreneurs and help them create revolutionary results. Mike is touted as America’s Leading Trainer and Authority on agency business success and continues to show thousands of others, just like you, how to implement his Proven 3 Step Blueprint, a unique philosophy called the “Three P’s”–People, Processes and Promotion in their business. Developed over 32 years of research, Mike’s thinking and guidance provides entrepreneurs the knowledge and tools that they can quickly implement in their companies to help them grow, create financial security and give them more freedom. Since Mike still owns and operates his own agency, the “Living Agency Laboratory,” Mike and his team continue to refine and bring to market ONLY the tools that work. Mike has been there, done that and is still doing it! Hello! 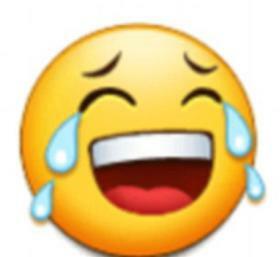 My name is Patty Lares. I am the Founder and President of AA Lares Insurance Services, Inc. I started my insurance career at the age of 16 in Anaheim, CA. Since then, my life has been filled with nothing but blessings. In 2000, I opened my agency in the location we are at today. We have reached many of our goals, and strive to continue growing. I wouldn’t be here without my team or my wonderful clients. My goal is to make sure you are confident—confident in our team and in our ability to protect you when the unthinkable happens. Outside of the office, I love spending time with my family, especially my grandson Adam. 5:00 AM hikes and motivational exercises is how I begin every day. I highly recommend the book Miracle Morning by Hal Elrod for anyone who wants to start every day of his/her life motivated, energized, and ready to conquer the world. We are a family-owned local independent insurance agency dedicated to protecting you and your family with quality personal and business insurance programs. If you're asking yourself... "Why an independent agency? Why not just go directly with an insurance carrier?" We can answer that in one word. Choices. Whether you work at home, or commute over county lines, your needs are carefully placed into a program that best fits your unique situation. Above all else, we'll help you understand insurance a little more. We also have made shopping easier for you by developing a safe and convenient online insurance quote form. Together, we will get you adequately covered with premiums that are affordable. Here at HawkSoft we are deeply committed to the success of independent insurance agencies. From the time I first became an insurance agent, I have developed cutting-edge technology solutions for agencies. We have a solid understanding of the changing insurance industry, and we thrive on innovation. My real passion, though, is interacting with clients. I love talking to agents at industry conferences, trade shows, and user group meetings. I want to find their pain points and find out what gets them excited. I personally read the feedback and suggestions submitted through our forums and email and set priorities based on what is best for our clients. We feel that if we take care of our clients’ needs the bottom line will take care of itself. I was told by one of our clients that the difference between us and our competition is that HawkSoft has heart. Our passion for the customer experience draws people in. One of the best pieces of business advice I ever received was to surround myself with good people, and I feel I have done that. HawkSoft now has over seventy employees, and I’m proud of every one of them. They work hard, embrace our core values, and put our clients first. I am excited for the future. 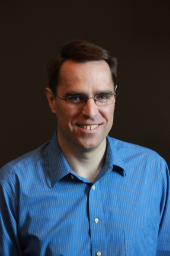 Paul Hawkins began developing HawkSoft’s first software program while working as an independent insurance agent in Portland, Oregon, and seeing first-hand the opportunities for increased efficiency and improved customer service that software automation could provide. Throughout his 6-year career as an insurance agent, Paul developed many software tools that he and his coworkers used to boost their agency’s success. In 1995, Paul founded HawkSoft to devote his full attention to helping all independent insurance agents. Paul serves as President and CEO of HawkSoft and is a member of the board of directors. He is a frequent speaker at insurance industry events and has received the Legend Award from The Brokers Insurance Group. Paul enjoys woodworking, spending time with his family, and working on his farm. Director of Sales at HawkSoft, Inc. 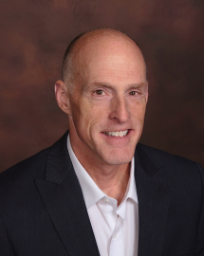 In his position with ACT, Ron brings together independent insurance agents, insurance carriers, software vendors, and other industry groups to advance the use of the most effective business processes and technologies. ACT facilitates work groups which develop agency resources and drive the industry forward. ACT’s free tools for Big ‘I’ independent agents enhance productivity, service, marketing, sales, and security. A key focus for ACT is to keep informed on the strategic trends that will drive future consumer expectations and business opportunities. 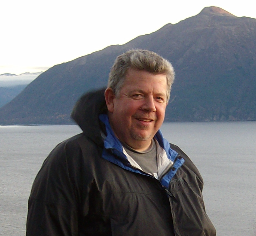 Prior to ACT, Ron worked with MetLife Auto & Home for almost 20 years, advising on future technology strategies and advocating for effective agent workflows. He has also long been involved with insurance industry workgroups and associations such as ACT, AUGIE, the ID Federation, the Insurance Digital Revolution, the Real Time/Download Campaign, and numerous other user group conferences. 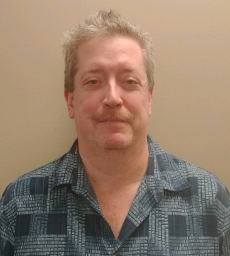 Ron has a wide technology background in computer operations, programming, technical support management, and project management. 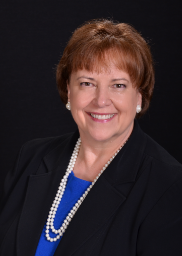 Chief Operations Officer at Beacon Insurance Services, Inc.
Royal is a native of Biloxi, MS and a retired Naval Officer having served 24 years on active duty. His specialty in the Navy, for his last 14 years of service, was logistics, finance and contract management. Royal ended his career with the Navy in 2014 and went to work for Edward Jones Investments. He spent 3 years as a financial advisor where he learned and sold life insurance products to compliment his client's portfolios. One of his clients, who owns Beacon Insurance Services, offered him a management position in his company. He took the position in 2017 and by the Spring of 2018 had mastered all reporting systems in Hawksoft which led to significant agency growth. He spoke in Tampa, FL at a regional HUG meeting in the fall of 2018 and was asked to co-facilitate Agency Intelligence and Sales & Retention Hawksoft Reports for the National HUG in 2019. 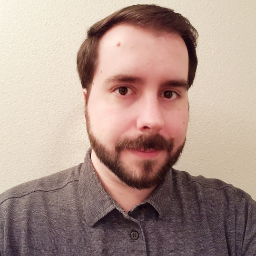 Senior Database Management Specialist at HawkSoft, Inc.
Ruben Hurse has been with HawkSoft for just about 5 years, and is the Senior Specialist in HawkSoft's Database Management Department. His primary role is to assist HawkSoft users through a variety of projects involving their HawkSoft data. This can be helping new users through the Data Conversion process, moving their database from one server to another, or even with custom programming adding or removing data from clients and policies. If you need your HawkSoft data adjusted, modified, or moved, there's a good chance you'll work with Ruben. Board Member, Director of Marketing at HawkSoft, Inc.
As Director of Marketing, it’s my role to communicate our values, inspirational story, and what makes our organization and products so unique. Our customers and employees put their trust in our company, and it’s our responsibility to curate this trust and position them for success. 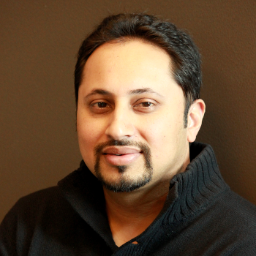 Rushang brings 18 years of software development, marketing, and entrepreneurial experience to HawkSoft. 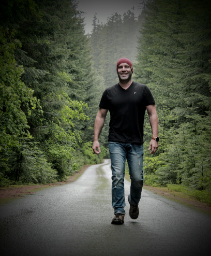 He served as Director of Marketing for CompanionLink Software before joining HawkSoft, helping land the company on the list of Top 100 Fastest-Growing Private Companies in Oregon for two consecutive years. VP of Development at HawkSoft, Inc.
My passion is creating technology solutions that people love to use. I enjoy finding creative ways to solve problems for our clients, and I love seeing those solutions in use. My favorite words to hear from a client are, “That is the coolest feature ever!” That thrills me. As Vice President of Development, I set the direction for our software. Our mission is to provide a superior experience for our clients, so I listen to them and then establish the roadmap for meeting their needs. Our focus has gone beyond providing a powerful management system to also providing the tools needed to run the entire insurance agency as a successful business. We pride ourselves on having the most intuitive software available. It requires minimal training, and its streamlined workflows save agencies both time and money. Sean Hawkins started work at HawkSoft in 1997 while attending Brigham Young University with a Computer Science major. He has over 20 years of computer programming and technology industry experience, working with HP, AutoTime, and HawkSoft. 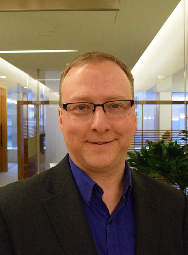 At HawkSoft, Sean manages the product management, development, QA, and database conversion teams and serves as a member of the board of directors. Dedicated, enthusiastic and experienced professional with an extensive marketing, training and sales background. I am passionate about digital marketing and love consulting with SMBs to grow their businesses via a stellar web presence and robust campaigns. My days are filled with keeping up on both digital and relationship marketing tactics that drive new business and increased retention for independent insurance agencies. My team and I at Safeco are are champions of independent agents and helping agency partners grow their businesses. Outside of work, I enjoy spending time with my husband and two boys, ages 17 and 14. They keep me busy with year-round baseball teams which means I live in a cozy travel trailer at a Western WA area campground just about every weekend in the spring and summer. I love going to the gym and being active in my community. In 1995, Tom started as a debit life insurance agent for Prudential. His love for the industry is unwavering. He spent equal amounts of time on both sides of the aisle. On the carrier side, he worked in loss prevention, underwriting, and sales management. On the agency side, his roles varied were primarily new business production and renewal retention. Tom always felt the insurance industry was lagging behind other industries as far as automation was concerned. He served as President for the Eastern Pennsylvania User’s group for another management system and nationally assisted on the design review committee for the PS4 product which late became known as Producer Plus. Not willing to stop, Tom decided he would start his own agency at the age of 62. The agency is located in Eastern Pennsylvania. It is 95% commercial and 5% personal. He has 3 employees. HawkSoft has been his one and only management system. On a personal level, Tom is married and has 5 grown children and 7 grandchildren! His favorite number is 3 as that number provides all the support he needs! Tom currently serves as a member of the HUG Board of Directors.